researchers and ordinary visitors just who happened to be there. So you found this page. I'm very encouraged. It means you want to do more! 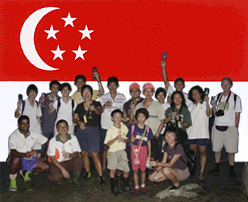 Join a community of people who are on a mission to help Singaporeans discover their natural heritage. And make informed decisions about our choices for the future. You can make a difference! It's simple. Just explore our wild places. bring a friend along for a trip or an event. Share what you discovered. Social media is a great way to raise awareness among your friends! Volunteer any effort or time you can spare. Whatever you do, if you are dependable, you can make a huge difference! Start with me: my impact, my habits. how can I expect others to change?